OIL OLEX was developed for the daily care of your hair, giving them a healthy look during all the day. It is ideal to fortify weak hair, performing from the root until the tip, making the hair silky and strong. 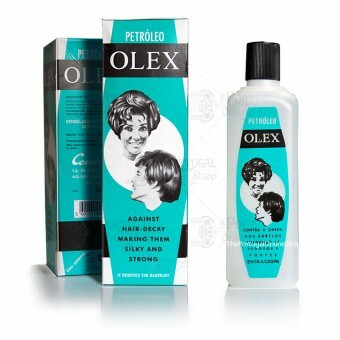 OIL OLEX also helps to prevent the dandruff appearance. On the formula of OIL OLEX two substances must be distinguished: the “D-Panthenol” and the “Salicylic Acid”. The D-Pantenol also known as Pro B5 vitamin, gives the hair body and elasticity. It is an excellent hydrating, therefore it increases the water index in the axle of the hair, becoming it more manageable, improving its brightness and reducing its static electricity. The Salicilic Acid also known as Beta hidroxi Acid, performs as a soft exfoliante, preventing the dandruff appearance. Simple application. Wash your hair with a good and soft shampoo. Apply directly into your scalp. Smoothly rub both hair and scalp. Not to rinse. Let it dry naturally. Exfoliant, prevents the dandruff appearance. Keep this product out of children´s reach. Do not use in children under 3 years of age. seems good, but can only know after a while i guess?